The British Virgin Islands are one of the oldest and reputable offshore jurisdictions. The BVI company incorporation process is a simple one, with tax and confidentiality advantages for the investors. In order to set up an anonymous company in BVI investors will need to follow the usual company formation procedure and appoint a registered agent, all along without disclosing their personal information to the public records. The International Business Company (IBC) is the commonly used legal structure. Foreign investors have low BVI company formation requirements and enjoy a lack of corporate taxation. Moreover, investors confidentiality is valued and the beneficial owner of the company does not have to disclose his information for the purpose of registering the company. Foreign investors are welcomed and there are no restrictions regarding nationality in BVI. The registered agent: his identity is the only one disclosed to the official company registry in the country and he is under no obligation to disclose the identities of the beneficial owners. The names of the company director(s) and shareholder(s) are disclosed to the registered agent. The information about the beneficial owners of the company is disclosed during the early company formation stages when investors need to provide copies of their passports and proof of residence. A Beneficial Owner Declaration will be required. The data is not disclosed publicly: the information about the beneficial owners is included in the company’s constitutive documents, however, even if the data is necessary it is not searchable in public records. This is an important advantage for all investors who wish to maintain a degree of anonymity while doing business in the British Virgin Islands. Nominee directors and shareholders can be used: for the highest degree of anonymity possible, investors can choose to use nominee directors and shareholders – they will be appointed to represent the interests of the true beneficiaries. The British Virgin Islands are a tax haven that is also known for its good financial privacy. This is also true for those investors interested in buying shelf companies, as the process of maintaining anonymity still applies in this case. The BVI company set up process includes a number of steps, however, this process is a simple one and can be handled remotely through our team of agents when the foreign investor cannot travel himself to the jurisdiction. - choose a company name: this must be an original and available name and it can be reserved with the Companies Registry; the name will also include the abbreviation for the chosen type of legal entity, for example limited, incorporated, etc. - allot the shares: the shares can be issued in any currency and can have equal value; there is no need to have a minimum share capital upon incorporation. - have a registered office: the incorporation procedure in this jurisdiction requires a mandatory registered office in the BVI. Our team can help you draft and submit the Memorandum of Association, needed for the actual BVI company incorporation. this important constitutive document contains information regarding the name, address, scope, share capital and others. The documents will not disclose the identities of the beneficial owners. A BVI offshore company is used by private entrepreneurs and companies that wish to engage in activities related to financial consulting, accountancy, international trade or asset protection and management. These companies have to observe minimal statutory requirements and this is another important reasons, apart from the high investor anonymity, why the BVI is a top offshore jurisdiction. There is no need to audit the company on a yearly basis, no annual company meetings are required and the company’s accounting documents such as the books, minutes and records can be stored in a separate location, not necessarily where the registered office is located. The entire company formation procedure can take one to two days when all of the steps are followed. Moreover, shelf companies are just as easy to acquire, for investors who prefer this type of entering into business. 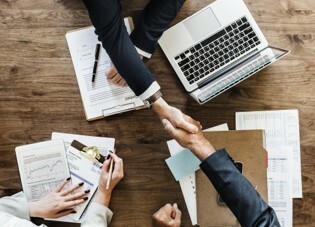 Entrepreneurs who wish to buy an existing company can transfer the ownership as quickly as possible with the help of our incorporation specialists. Our agents can help you with the BVI company set up, by following a few simple steps, starting with choosing a company name and drawing up the company documents. The British Virgin Islands offers highly advantageous conditions for doing business and a high level of anonymity that is very important for some investors. All of this is made available in a beautiful setting and a location that benefits from modern infrastructure. Contact us for more details about the advantages of opening an IBC in the British Virgin Islands and complete assistance for company formation.